UPDATE, December 2018. More programs are coming online with greater frequency. I will no longer update this page, but will continue to track and make updates available via a regular report to the community. In September 2016 Y Combinator announced a collaboration with the London-based Founders Pledge to support their startups’ desire to give back, even as early stage companies. This is an important move forward for the “tech-lanthropy” movement that’s popularizing pre-liquidity charitable commitments. It’s a model I became interested in while I was a fundraiser at UC Berkeley focused on Silicon Valley alumni. Faced with a few headwinds, I had to get creative. After much conversation, meditation and research, we hammered out a framework for an innovator engagement platform that led naturally and authentically to philanthropy. The philanthropy component became the Berkeley Founders’ Pledge, which now counts 260+ members, including the founders of Cloudera, Kabam, Nextdoor, TubeMogul, Warby Parker, and more. Read More > What is a Founders Pledge? Since then, many schools have asked me how they can work with their alumni entrepreneurs in the same way. I’ll try to parse out some of those lessons learned in future posts, such as: evaluating higher ed ecosystems; why Founders Pledge programs work; why universities are well-positioned for success in this area; the biggest challenges to building a program; how to design a program that’s tailored to your university’s ecosystem and achieves specific desired outcomes; and what the future holds for these programs. I now work with Dartmouth College’s west coast team (Dartmouth has strong entrepreneurial roots), figuring out how to apply core principles to what is a very different environment — both entrepreneurially and philanthropically. In the process, I’ve gotten a fairly comprehensive view of the landscape of Founders Pledge programs and wanted to share that context as all of us in entrepreneurship and philanthropy help to develop this model. This seems to be the OG of Founders Pledge programs, created by Gib Myers — a Dartmouth alum, by the way — at Mayfield Fund in 1998. It evolved through several models, from set-asides of equity at the company level to engagement of entrepreneurs in CSR activities, and merged with the Silicon Valley Community Foundation in 2012. Created by serial entrepreneur Tim DiMello, an alumnus of Babson's Class of 1981, the Founder's Fund has welcomed 38 members to its group. Each member is encouraged to commit 5% of their future equity to the College through a range of giving options. The fund has realized $6 million since its inception, and was featured, alongside programs at Berkeley, Dartmouth, and Duke in a 2017 Chronicle of Philanthropy article. Initially driven by VC pledges, UCLA’s model has pivoted at least once. Today it’s a program wherein entrepreneurs pledge $10k-25k worth of equity that’s gifted upon liquidity, or pay an annual fee. Gifts have helped to fuel the investment arm of the program (an early feature of the fund), which focuses on UCLA startups. This is a model with huge potential because it leverages the inherent assets of a large research university, and builds in a philanthropic path from startup support programs back to the university. Four private universities that I know of tried this model, but some of the particulars are lost in the sands of time. Worth noting is that two of these schools have strong philanthropic cultures. This is another post entirely, but I suspect these programs faded because they addressed gaps that the schools didn’t actually have — for example, there’s little need (or bandwidth, or potential upside) for creating new programs when current programs work well. 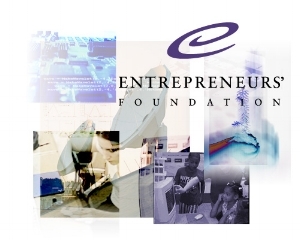 The third program failed to engage entrepreneurs meaningfully and lost momentum. The fourth I know very little about—only enough to confirm that it existed, required some documentation, and didn't truly gain traction. Many companies and several corporate giving platforms have adopted Benioff’s integrated philanthropy concept of donating 1% of equity, 1% of employee time, and 1% of product. The model has in many ways formed the backbone of the movement, and is now partnered with Pledge 1%. Brad Feld of Foundry Group co-founded EFCO in 2007, and the organization signed on a robust portfolio of startups born out of the Boulder tech scene. They asked companies to contribute 1% of company equity through warrants. Rebranded recently as Pledge 1% Colorado, the group is aligned with the larger Pledge 1% movement built in partnership with the Salesforce Foundation, Atlassian and Rally for Impact. A brief, beautiful flame, 1% of Nothing had a killer logo and the backing of entrepreneurs Shervin Pishevar and Matt Galligan, who had worked with EFCO after a prior exit. While 1% of Nothing didn’t become a full fledged organization, it may have introduced a new crop of Silicon Valley entrepreneurs to pre-liquidity philanthropy. This program appeared as far back as 2013. Founders pledged 1% of equity to a charity of choice. The reboot revitalized the program, which now requires a 2% binding commitment and has partnered with YC to encourage more philanthropy, counting 500+ pledges. This website still gives me chills...love it! More than philanthropy, it’s built on a platform designed to fully optimize the entire Berkeley ecosystem: to truly add value for students, faculty, alumni, programs, & the university as an enterprise. It was also designed to address gaps specific to Berkeley’s ecosystem and philanthropy pipeline— other university-based programs should evaluate and design for their own unique needs and opportunities. To date, the Berkeley Founders' Pledge has raised nearly $35 million from a number of exits, possibly the largest and most successful outcome of any Founders Pledge program to date. The bulk of this support was driven by two gifts. Kevin Chou, a founder of Kabam Games, and his wife Connie Chen, made a gift of $15 million, with the possibility of an additional $10 million, towards a new building at the Haas School of Business. This was the largest gift to Berkeley from an alumnus under 40. The other gift was a $4.4 million infusion from alumnus Scott Galloway, the founder of L2, inc. Galloway's was the 2nd-largest gift ever from an MBA alumnus at Berkeley. Two record-setting donations, enabled by a unique, silo-busting approach. Universities are extremely well-positioned for success with this model. There are certainly implementation challenges, but the schools that are able to bridge these gaps will reap huge rewards. FCF members contribute to a collaborative philanthropy model, making grants of cash and expertise to local nonprofits. FCF uses the 1:1:1 model, and celebrated the first distribution (from Lex Machina) in December 2015. Building strategic partnerships with key leaders in the space including Salesforce, EFCO, Full Circle Fund, and others, Pledge 1% is the natural next step in this movement. By providing infrastructure for regional and incubator partners, they increase efficiency, enrich the network, and sustain momentum. They recently celebrated their 1,000th pledge. Inspired by the Berkeley model, Rosenman’s program works with companies who come through this UCSF-QB3 initiative for medical device development. QB3 is one of several collaborative centers for bioscience technology R&D. Its highly active nodes at UCSF, UC Berkeley, and UC Santa Cruz have spawned/incubated dozens of startups. Driven by an alumnus and a philanthropy officer at Duke University's Pratt School of Engineering, DukeOne's members have committed 1% of the value of their companies to the university. Currently alumni at six companies are participating. DukeOne was among several programs, including those at Babson, Berkeley and Dartmouth, featured in the Chronicle of Philanthropy in June 2017. The parallels between the parameters and growth path of Waterloo's Startup Pledge and those of Berkeley and Dartmouth are remarkable. Waterloo's program is a flexible soft pledge, which in just 18 months has notched more than 50 commitments and 2 gifts. This may be an exciting validation of the principles underlying pre-exit philanthropy's emerging "best practices." Waterloo is one of the fastest growing programs to date. We launched the Dartmouth Founders Project in beta in May of 2017. Echoing the flexibility of the Berkeley model, we are building this community based on the unique topography of the Dartmouth startup community and philanthropic culture. Membership grew steadily over the summer. Our team focused on inviting new members only as time allowed during our busy fiscal year-end period, and as we planned for the Dartmouth Entrepreneurs Forum in the fall. Launching the program at Dartmouth, after having guided the Berkeley program to launch, helped me to identify some of the first principles involved in building these programs. The Dartmouth Founders Project now has 40 commitments—this appears to be the fastest growth rate for a Higher Ed program to date [UPDATE 7/18: 87]. Our program was featured, along with those of Berkeley, Babson and Duke, in the Chronicle of Philanthropy. Professor Emeritus James Vigil made a Founders Pledge commitment to UC Irvine, inspiring two other alumni to come forward with commitments through their own ventures. This program is especially interesting to watch because it was donor-driven, and will be grown around these initial pledges. Welcome, Anteaters! Northwestern's Founders' Pledge is also built on the Berkeley model, with light documentation (provided through DocuSign—which until its April IPO was itself a private, venture-backed company) built into the pledge form. Northwestern's FAQ uses terminology developed on this blog to help its users understand the pledge mechanism, and they're off to a great start! Northwestern has not yet disclosed their numbers publicly. Best of luck, Wildcats! This chart represents a selection of data from my research into the development of founders pledge programs. In addition to the eight active university-based programs, I'm tracking sixteen more programs in four stages of development. I'm including more than 20 quantitative and qualitative data points to better understand the process, costs, risks, challenges, and opportunities of building a founders pledge. Critically, I'm also trying to identify the factors that ensure successful launch, and sustainable operations. If your school is exploring this idea, please contact me to be included in the research and to receive the reported data and analysis. I’m sure this isn’t a comprehensive list. In addition to these, I am tracking 11 [UPDATE 7/18: 16] additional programs in various stages of development. If your school is exploring this idea, please reach out to me. I will add you to the study, and share insights from my research. The model is finding traction across the tech philanthropy landscape. It’s a powerful opportunity to scale social impact, as we are beginning to see with Pledge 1%. As time allows, I’ll share my experiences and learnings from working in this space, and hope you’ll follow along and share your thoughts as well.